This year - and specifically, this week, the National Park Service celebrated its 100th anniversary. Admittedly, this is an interest of mine that stretches outside the normal boundaries of sports, marching/athletic music, and tailgating on which 80 Minutes typically focuses, but it doesn't require an HBCU drum major's flexibility to tie marching music and even sports back to America's Best Idea. I live in Greensboro, NC, and I've often said this city is at its peak in mid-March, when the ACC basketball tournament is taking place across town from the reenactment of the Battle of Guilford Courthouse. It was at Guilford Courthouse National Military Park - where I made this weekend's centennial pilgrimage - that I first learned the ACC-ubiquitous *dut diggy dut dut, dut diggy dut dut, dut! 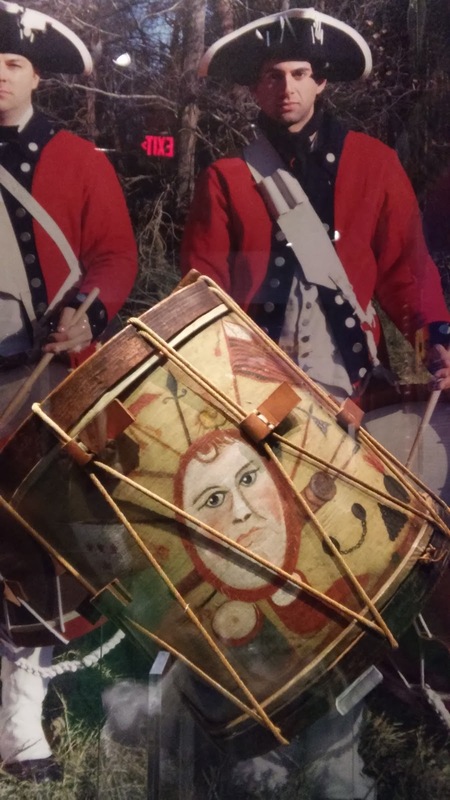 * Go [Team Name] is actually based in a Revolutionary War-era snare call for attack. Military music is the most obvious point of connection with the National Park Service units. The Marine Band has regular summer missions on the grounds of the Washington Monument. The Navy Band was involved in the rededication of the the Wright Brothers National Memorial in North Carolina, and each of the premier ensembles have a role in military honors at Arlington National Cemetery. At Arlington and other NPS units where Taps is sounded, I'm reminded of my own connection to the bugle call, as my college pep band director is its foremost authority. The University of Maryland at College Park even put an NPS unit - Fort McHenry - on their helmets, while partnering with WVU to reenact the bombardment that birthed out National Anthem.